It’s been just over a year since critically-acclaimed touring artist Brandy Clark released her sophomore album Big Day in a Small Town, which garnered two 2017 GRAMMY nominations for Best Country Album and Best Country Solo Performance (“Love Can Go To Hell”). As reported today by Rolling Stone Country, the songstress who has been heralded as “country music’s most reliable character witness” (The Washington Post) returns with new music in a digital release of the sharply witty “You’re Drunk,” available now. The Morton, Washington-native received her first of six career GRAMMY nominations in 2013 in the Best Country Song category for co-writing the Miranda Lambert No. 1 hit “Mama’s Broken Heart.” Her talent as a storyteller had quickly propelled her into critical acclaim as one of Nashville’s best tunesmiths when she quietly released her debut album 12 Stories, which went on to be named “best album of 2013” by The Boston Globe, New York Magazine, NPR, The New York Post, and more. She won the 2014 CMA Song of the Year Award for “Follow Your Arrow,” which she co-wrote with Shane McAnally and Kacey Musgraves, and was also named the 2014 Music Row Breakthrough Artist of the Year. The Academy of Country Music voters nominated her for Female Vocalist of the Year in 2015. Brandy released her sophomore album Big Day In A Small Town in June of 2016, which garnered two GRAMMY nominations for Best Country Album and Best Country Solo Performance (“Love Can Go To Hell”) and topped more than ten major critics’ “Best of 2016” lists including NPR, Rolling Stone, Entertainment Weekly and Billboard, establishing Clark as one of country music’s most talented artists, beloved by fans, critics, and fellow entertainers alike. 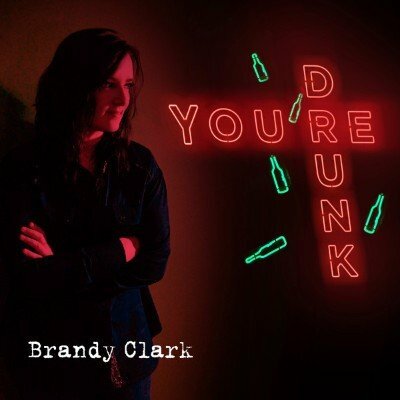 For more information, visit brandyclarkmusic.com. Follow her on Facebook at facebook.com/TheBrandyClark and on Twitter @TheBrandyClark. Country Music News Blog participates in advertising programs that help fund the operation of this site. For more information please visit our privacy statement. This entry was posted in Brandy Clark, New Music, Press Releases by Shauna "WhiskeyChick" Castorena. Bookmark the permalink.